Greatly reduced running-costs and first-in-class safety features are making fleets the target for Nissan’s all-new £1,200-cheaper Note. The B-sector vehicle will offer servicing, maintenance and repair costs 13% lower than the outgoing model. Meanwhile, future residual values should rise by up to £1,125 over a three-year, 30,000mile contract, a 7% uplift over the Note’s predecessor. This means contract hire rates should reduce by around £1,188 on a three-year contract – equivalent to nearly £33 every month. Nissan hope to sell 20,000 new Notes in total in its first full year, 30% of which will be into the fleet sector. 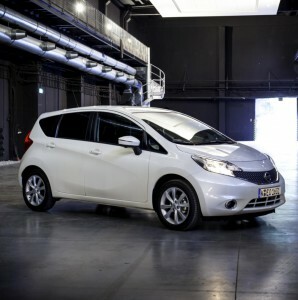 Barry Beeston, Corporate Sales Director of Nissan, said: “Note provides a brand new and exciting proposition to fleets within the mainstream B-sector which is the basis for many company car choice lists. The new Note also offers Nissan’s Safety Shield technologies, which provide blind spot warning, lane departure warning and moving object detection. These are three innovative features that will help fleets address their Duty of Care commitments. Other technology includes Around View Monitor, giving a bird’s eye view when parking. Both available engines – the 98PS 1.2litre DIG-S petrol and 90PS 1.5litre dCi diesel – are sub-100g/km after being equipped with the latest stop-start technology.